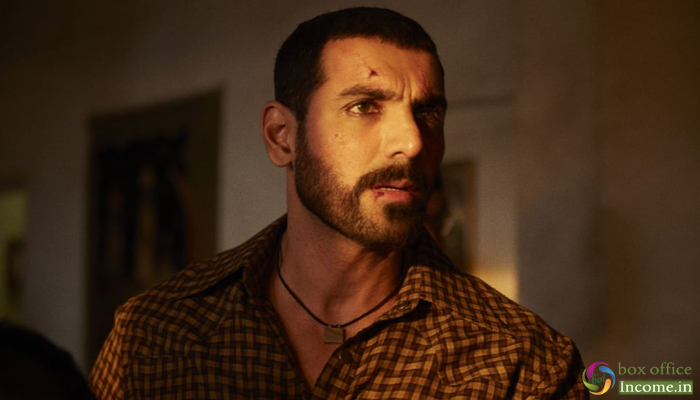 John Abraham starrer latest offering, the spy thriller Romeo Akbar Walter (RAW) has completed its one week journey at box office on an average note. The movie has been released with decent initial buzz among audience and has performed not so impressive through out. Directed by Robbie Grewal, the much-anticipated spy thriller drama has unfortunately got failed to make the right buzz among the audience post-release and also received mixed reactions from the critics. After the decent start on Friday, it faced continuous drops in its business and has ended its week with an normal business total. Viacom18 Motion Pictures’ production took a slow start but ended the day overall on an average note due to decent jump in footfalls post noon shows. By picking up very well over the weekend, it did the business of 22.70 crores, that included 6 crores on Friday, 7.70 crores on Saturday and 9 crores on Sunday. Then on weekdays, Romeo Akbar Walter entered with a maintained pace and minted the amount of 2.90 crores on Monday, 2.70 crores on Tuesday, and 2.60 crores on Wednesday. On the next day i.e. Thursday, the film faced slight more drop and raked the business of 2.14 crores. With this, its one week total collection has become 33.04 crores at the domestic box office from 2200 screens. Since there won’t be any competition this weekend now due to the postponing of PM Narendra Modi, it is only going to help the cause of the Robbie Grewal directed film.